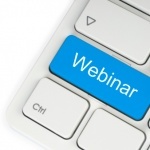 September 25, 2013 — ChiroTouch, a leader in chiropractic software, announced the “Effective PPC Strategies for Chiropractors” webinar, which is scheduled to air Oct. 1, 2013, at 10:00 a.m PST. Managing paid online advertising, or pay-per-click (PPC), can seem overwhelming for a local business owner. It doesn’t have to be overwhelming. In this webinar, you will learn effective and efficient strategies for managing a PPC campaign for your practice. Start off with learning the basics of keyword research and how to create effective ad copy and landing pages. The second part of the webinar will focus on refining your PPC ad campaign with A/B testing and how to use retargeting to get more patients. Sign up for this free webinar today to get a jumpstart on your PPC ad campaign. Join Mike Garcia, associate manager, integrated marketing from iMatrix, expert in search engine optimization (SEO), search engine marketing (SEM), design, and social media.